With its magnificent coastlines and sprawling farm lands, California is a unique oasis of beautiful landscapes and abundant natural resources. This not only makes the Golden State an exceptional place to live, but also makes the state an economic powerhouse and the fifth largest economy in the world. 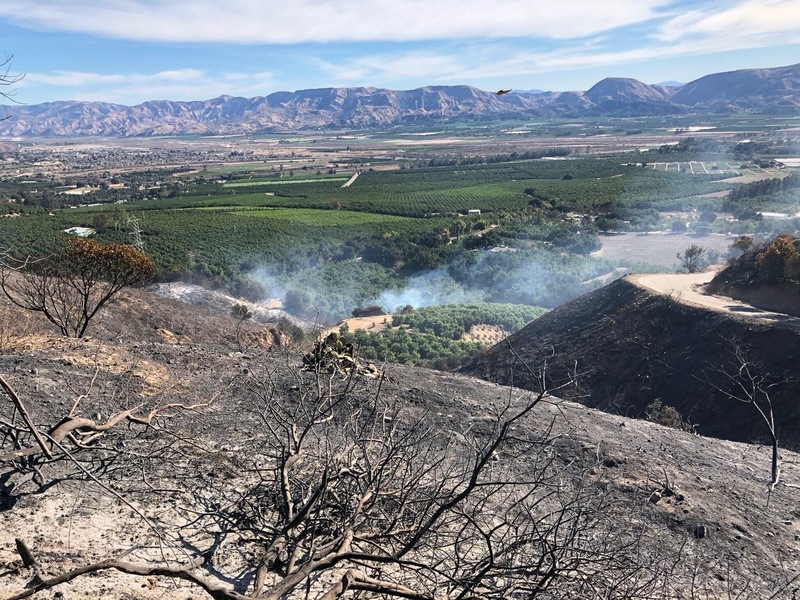 Unfortunately, we have already seen some of the state’s most beautiful areas set ablaze this summer due to a fire season that started early and is burning ferociously over thousands of acres of tinder-dry land. This fire season has already claimed too many lives, including four firefighters who died in the line of duty in July alone. Thousands of Californians are also facing the terror of evacuation and the loss of their homes and worldly possessions. This is leaving little reprieve for those still recovering from last year’s fire season, one of the most destructive in California history. Residents of Ventura County are all too familiar with these devastating wildfires, which have consistently forced tens of thousands to evacuate their communities while destroying thousands of homes and leaving many families with nothing. The Thomas Fire, which at the time was the largest wildfire in California history, burned over 280,000 acres and destroyed more than 1,000 buildings and homes. And it started in December — a sign that climate change has created a nearly year-round fire season. The threat posed by natural disasters is an unpleasant reality for those of us in the West, and we must do everything we can to prepare for it. As Members of the U.S. House Committee on Transportation and Infrastructure, we reached across the aisle and worked with our Republican colleagues in the House to pass the Disaster Recovery Reform Act (DRRA) this spring. We believe this bipartisan legislation will help communities better prepare for, respond to, recover from, and mitigate against disasters including wildfires and earthquakes. It’s time for Senate Majority Leader Mitch McConnell to hold a vote so it can become law. Why do we believe this legislation is so important for the Senate to take up? Because it will help save money, and more importantly, save lives. In an effort to prevent massive wildfires before they start, the DRRA allows states and local governments to use federal funding for preventative mitigation measures. For instance, the State of California could use this funding for fuel reduction and to cut back dried-out and dead acres of vegetation that are vulnerable to a spark. Communities would also be able to use federal funds to build fire buffers that protect structures from wildfire, as well as to stabilize fire-damaged areas to prevent mudslides. The DRRA also helps communities with pre-disaster planning and mitigation and incentivizes them to rebuild in a way that prepares them for the next disaster. We can save taxpayer dollars and improve safety by rebuilding communities using the latest building codes and hazard-resistant designs. After a disaster, communities can rebuild infrastructure using the latest fire-resistant materials and earthquake-resistant designs to better limit damage in the future. By ensuring that we rebuild our buildings in a smarter way, the DRRA will help us to better protect public health and safety and reduce future costs when disaster strikes again. In fact, for every $1 we spend on pre-disaster mitigation, we save between $4 and $8 in avoidable disaster recovery costs. The bill also builds on lessons learned from the response to recent disasters, like the Thomas Fire. It requires new guidance to improve the evacuation of those with special needs, including individuals in nursing homes, children in schools and daycare centers, and individuals with physical or mental disabilities. We can’t prevent every natural disaster — but we can, and should, do everything in our power to ensure we are building more resilient communities that are better prepared when the next disaster strikes. That’s why we believe the Senate must work in a bipartisan fashion to get the Disaster Recovery Reform Act enacted into law. Our communities depend on it.